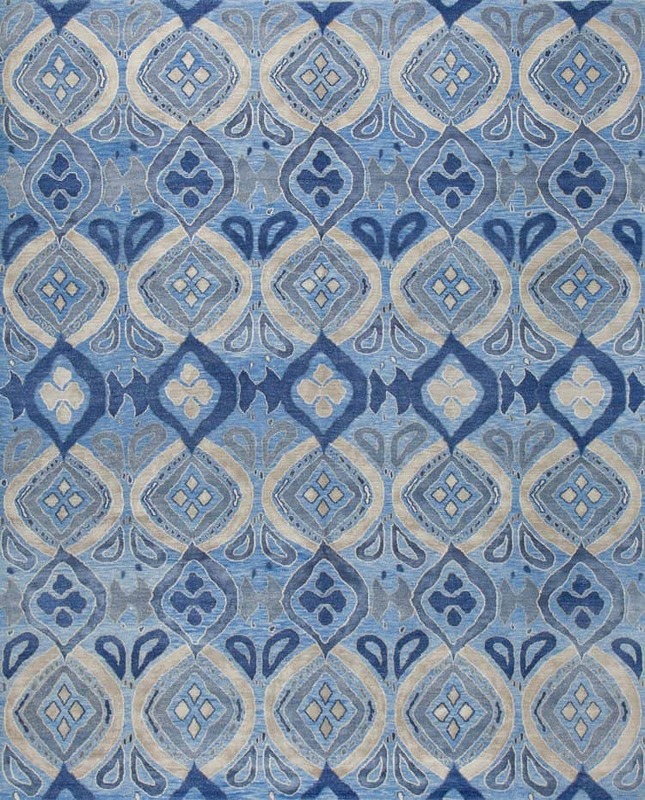 This uber luxurious Batik inspired design is teeming with details. 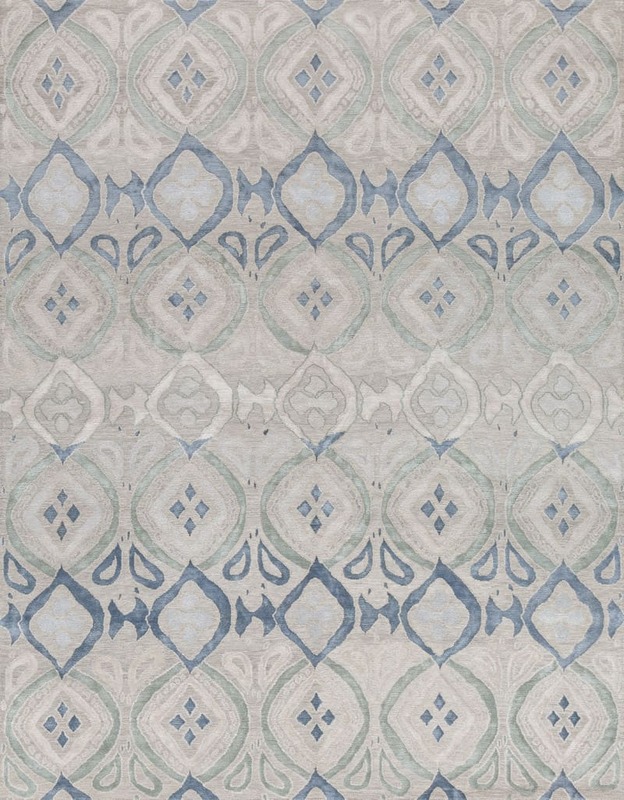 The grey Tibetan wool background serves as a backdrop for the design elements in stone blue, dusty lilac and pale grey-blue. 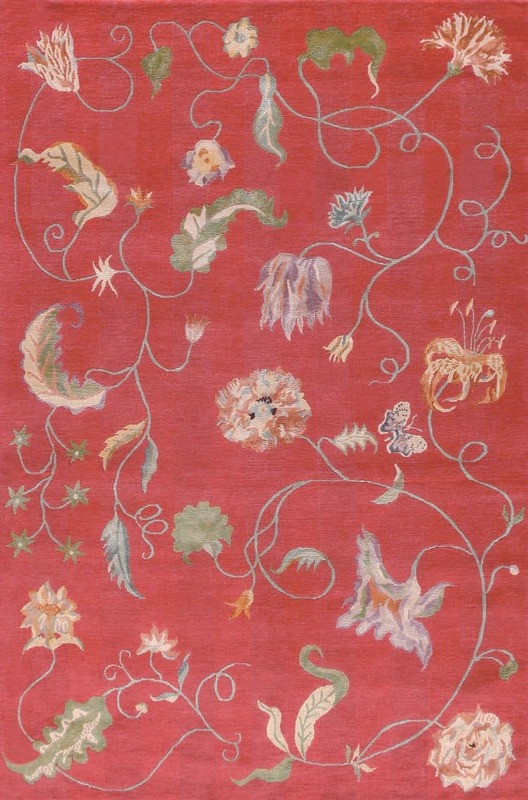 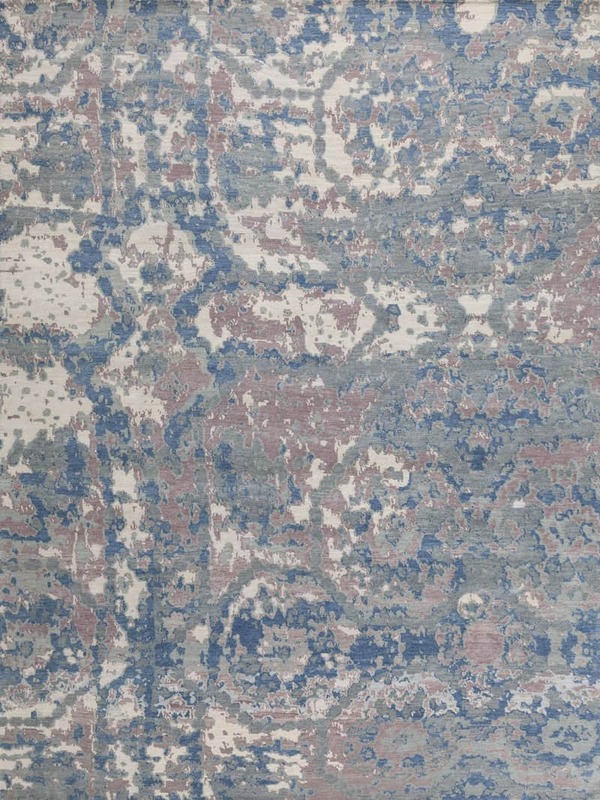 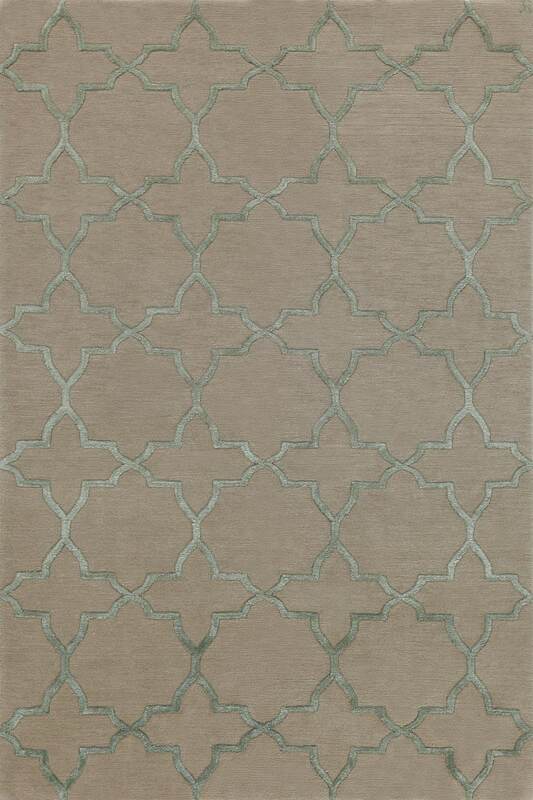 Accents in ivory Tibetan wool provide relief to this rich color palette. This piece has been crafted by hand in our true 50 knot quality.